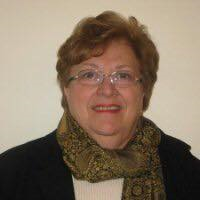 Sandra (Martinelli) Reissour, 77, of Springfield died unexpectedly on Monday November 26, 2018 at her home. She was born on July 18, 1941 in North Adams, MA, a daughter of the late John and Olga (Cellana) Martinelli. Sandra attended local schools and graduated from Drury High School. She was a graduate of St. Luke’s School of Nursing and later attended the College of Our Lady of the Elms where she earned her Master of Science degree in Nursing. She was employed for 52 years until her retirement at Baystate Medical Center in Springfield, first as a Head Nurse and later as an Education Specialist in Academic Affairs. A founding member of the American Nurses Association Massachusetts, Sandra also volunteered for many years with nurses in continuing education.